Let it Snow Let It Snow....Desserts! 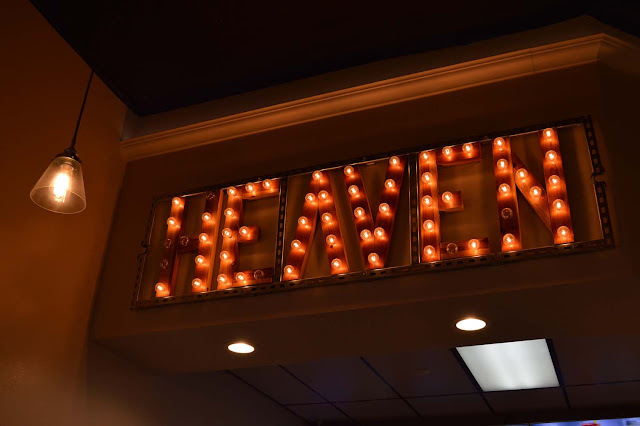 @ Snow Heaven - Lake Forest - EAT WITH HOP! Oh, it's raining in California? We all know that's rare. So when it's super hot and you need something to cool yourself down, try Snow Heaven in Lake Forest! SNOW SNOW SNOW! All the Christmas songs lately has got me thinking about a Winter Wonderland. But.... we don't really have that in Southern California. 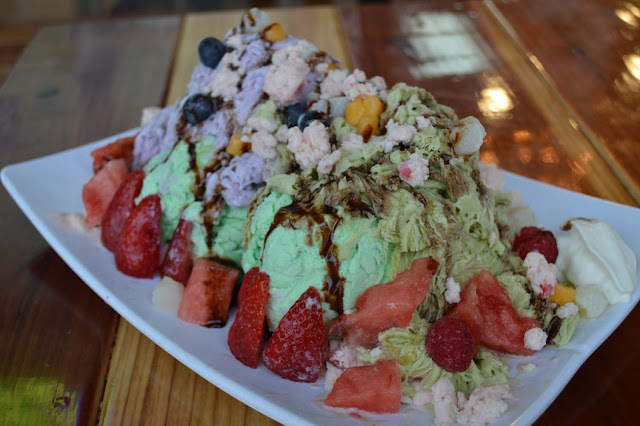 We got two scoops of green tea ice cream with taro and green tea flavored shaved snow. Yummm! Gudetama also wants some of that Snow Heaven life too! 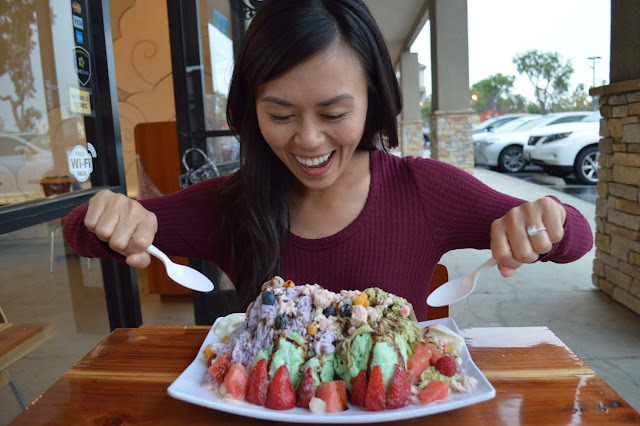 Whenever I go to one of these shaved snow places, I have to load up on all the toppings! Here is the menu! Click on the photo to enlarge! I love how they have a large variety to choose from like crepes and macarons! All made fresh to order! The prices are surpisingly inexpensive compared to the amount that you get too! The size that I got was a medium (or was it large...?!?!) and it's got so much snow! And...2 scoops of ice cream! Medium "SnowBall" is $5.95 and Large is $7.25! Not bad at all compared to Snow Station in Westminster which is a bit more expensive I think! And... here is the drink menu! They make it fresh and use real fruit. Yes! Snow Heaven now sells Taiyaki Ice Cream! Thank Heavens for Snow Heaven! So Snow Heaven is this fairly new spot to get your dessert cravings satisfied in South Orange County! Located in Lake Forest, this place offers not only snow, but ice cream and crepes too! 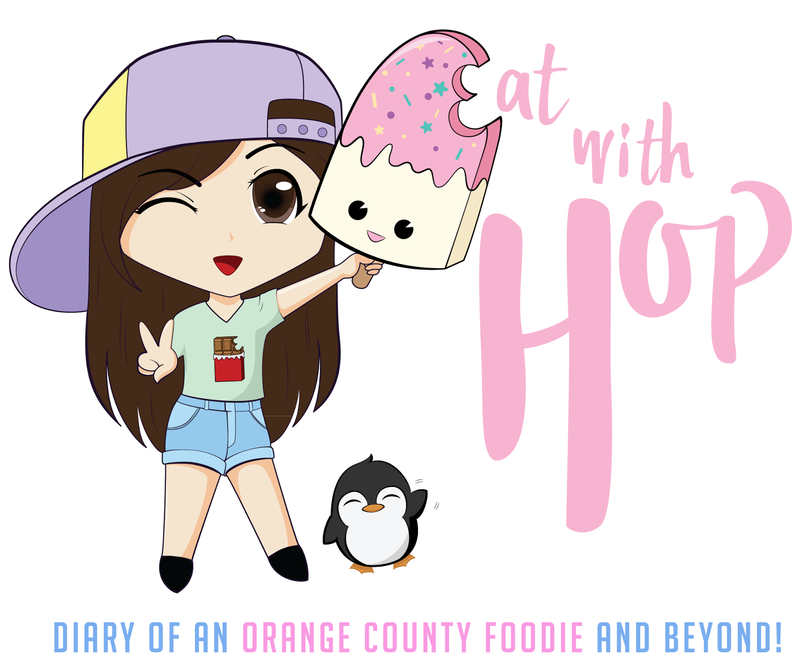 Oh, and drinks (boba) ! I also got to catch up with my high school friend Kathy! 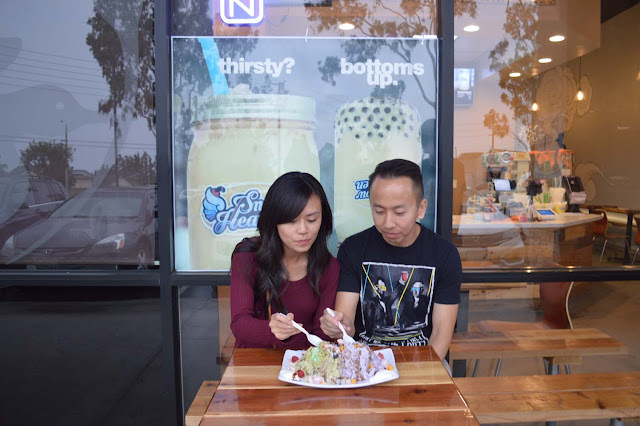 It was raining that day.... but we still enjoyed our dessert! 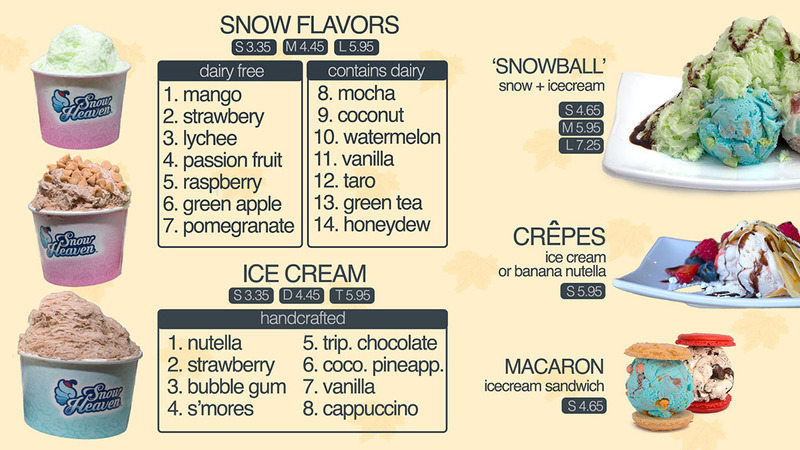 We ordered the Snowball which is the ice cream + shaved snow combo. 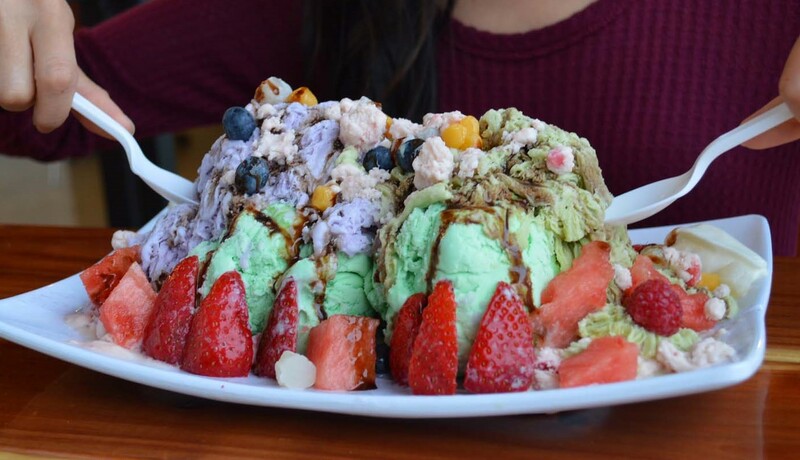 Green Tea Ice Cream - comes with 2 scoops! unfortunately, wherever they source their green tea ice cream from isn't legit. Like, this flavor just tastes like cream. No green tea... flavor whatsoever. We also got the Strawberry Mango Tea Drink with real fruit puree! This was yummy but I couldn't taste the mango part of it too much. Hope they improve this for next time for more mango goodness ^__^ ! This place has very fair prices. It's quite cheap in my opinion! I am not much of a snow person anymore... since like 4 years ago or so when Snow Station opened I would go there like almost everyday... I'm all snow-d out. But South OC has been missing out! Snow Heaven is one of the few places (maybe only 2 places total anyway?) 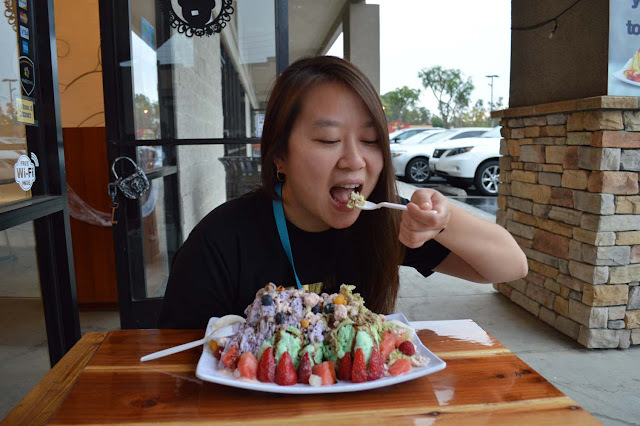 that you can get shaved snow in the South Orange County area. They are filling that missing void. People over there need to know what snow is! 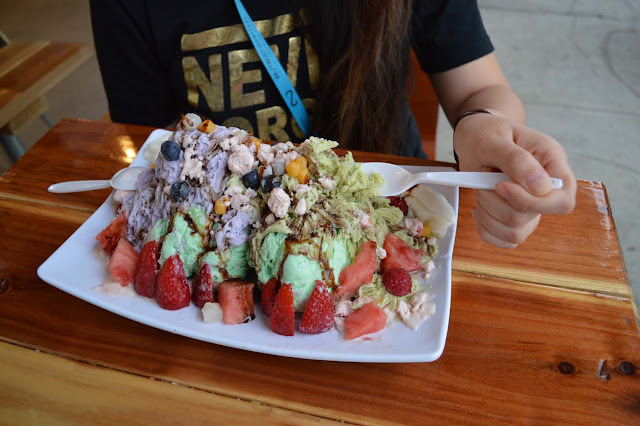 Shaved snow! 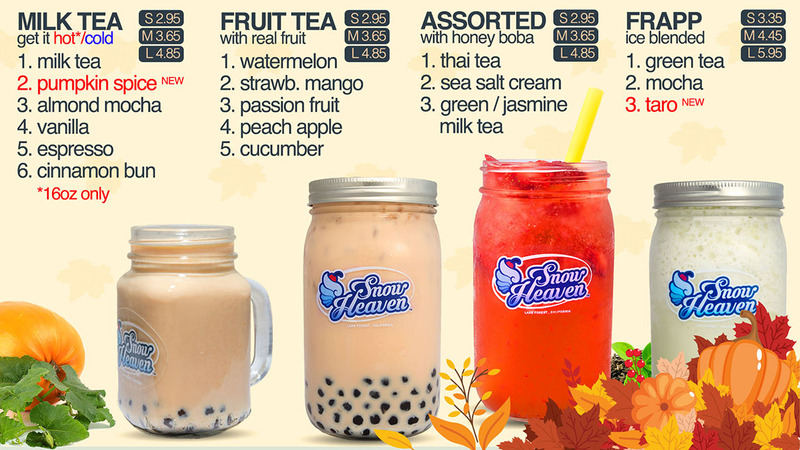 And although, Snow Heaven may have some things to work on still, I have high hopes for them since they are willing to listen to customer feedback! 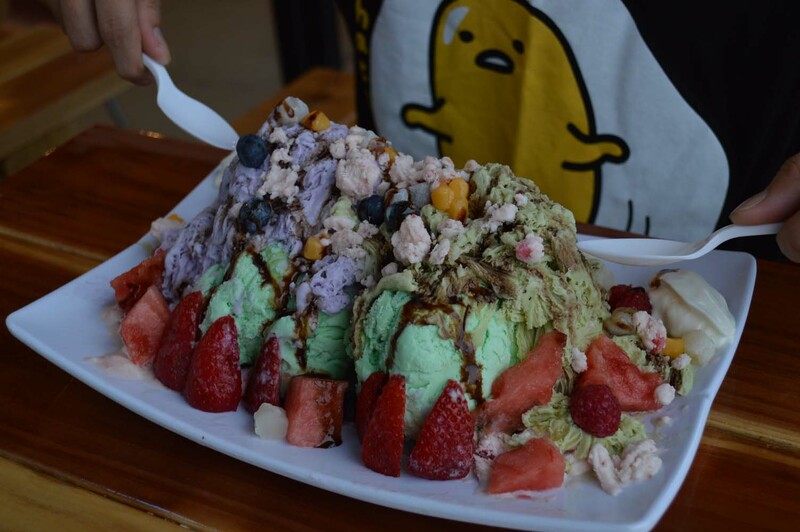 I can't wait to try the taiyaki ice cream next time I am in the area though! So the store recently re-painted their store. Everyone can be heavenly and have angel wings... You'll see what I mean when you get there! It's like the popular angel wings in Arts District LA!